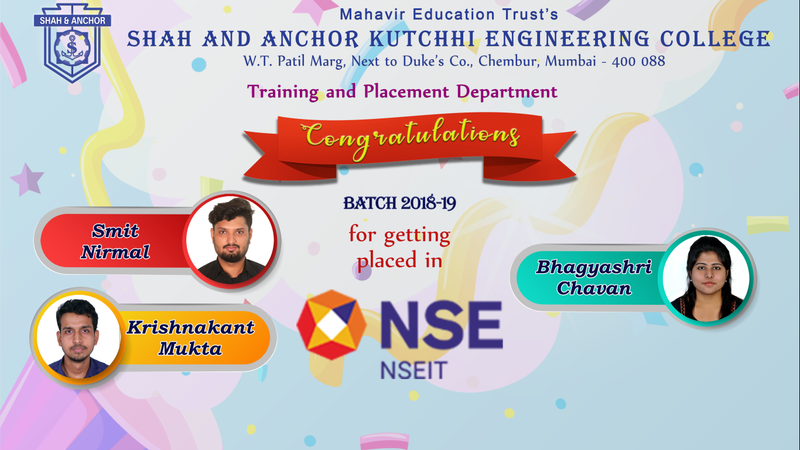 SAKEC Training and Placement Cell congratulates NSEIT placed student from Batch 2018 -2019. We wish them good career and growth in their work domain. May NSEIT be a milestone in your career and the first step to success! !